Having moved to Illinois a couple of years ago from the upper peninsula of Michigan, where we had over 200 inches of snow per year, I've been missing the beauty of winter. 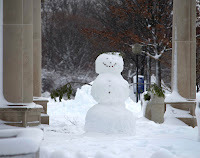 Well, as of this morning, we've got our own "winter wonderland" on the UIS campus and I am not missing snow anymore! 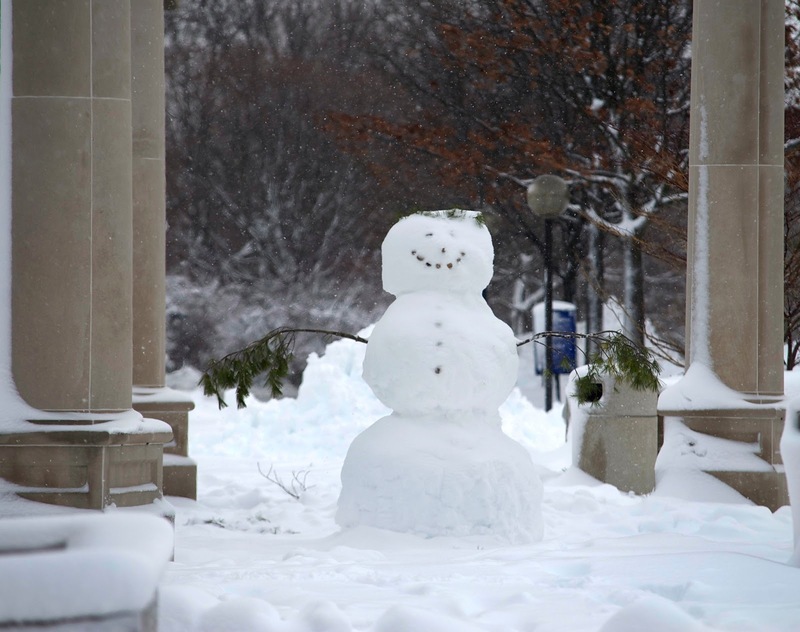 Some creative UIS students took full advantage of the last night's beautiful snowfall and built a snowman right in the heart of campus. Isn’t it nice to be reminded that sometimes what seems like an imposition is really fun in the making? The forecast is for higher temperatures, so I encourage as much snow sculpting as possible during the next 24 hours.